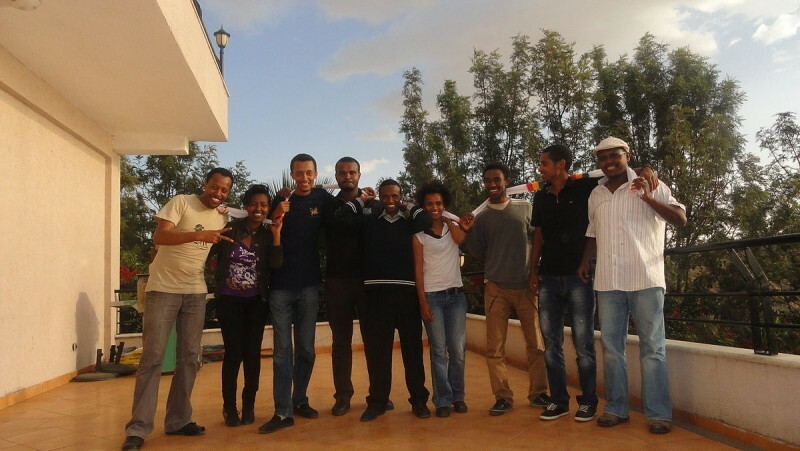 All members of Zone9 in Addis Ababa, 2012. From left to right: Natnael, Abel, Befeqadu, Mahlet, Zelalem and Atnaf. Photo courtesy of Endalk Chala. This week, Ethiopian Prime Minister Hailemariam Desalegn announced that Maekelawi, one of the country's most famous detention centers, will soon close. This brought a mix of emotions to the many Ethiopians who have survived the notoriously brutal interrogation practices used at Maekelawi. Among them is Global Voices author and human rights blogger Befeqadu Hailu. In 2014, Befeqadu was arrested along with eight of his blogger and journalist colleagues, all due to their participation in a collective blog known as Zone9, where they wrote about their government's obligations to human rights and constitutional law. The nine writers were detained and held in Maekelawi without charge for nearly twelve weeks in 2014, before being charged under the country's Anti-Terrorism Proclamation. Befeqadu later wrote a first-hand account of his experience in the detention center, which we share here in an effort to shed light on the harsh reality of Maekelawi under Ethiopia's current government. The idea of setting a foot in the compound of the ill-famed Maekelawi detention center gives a cold shiver to anyone who knows its history. But my sheer optimism and trust that the brutal and inhumane treatment of people was a distant memory saved me from trembling as I was escorted into the compound. The same was true of my friends, I suppose. What is more, we had nothing to be scared of, because we are neither undercover agents nor members of armed forces. We are just writers. 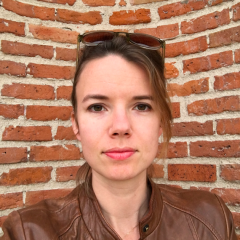 But as soon as I arrived at Maekelawi, [other] detainees informed me that I had been placed in one of the notorious sections of the detention center, known as “Siberia”. In less than a week, I felt like I was living in the middle of an account from the 2013 Human Rights Watch report entitled “They Want a Confession”. “They Want a Confession” documents serious human rights abuses, unlawful interrogation tactics, and poor detention conditions in Addis Ababa’s Maekelawi detention center, drawing from interviews with former Maekelawi detainees and their family members. Those detained in Maekelawi include scores of opposition politicians, journalists, protest organizers, and alleged supporters of ethnic insurgencies. In our case, finally we were made to plead guilty. We confessed under duress. We could not bear the ceaseless brutal and psychologically degrading pressure. We could not carry on surviving the hell of Maeklawi. We ended up telling our interrogators what they wanted to hear. To their delight, we added as many self-incriminating phrases as possible. But phrases like “yes, we wanted to incite violence” never pleased them. So they rewrote our confessions to fit their frame. Some of us tried to explain. Others had to endure beatings. But at last we succumbed to the pressure and signed the carefully scripted confession pages, with the exception of our colleague Abel, who refused to sign at that time. He has survived the pain he has endured since, and his confession, when finally extracted, is completely untrue, to say nothing of ours. Now we know that torture is the part of the Maekelawi ceremony that reveals the “truth” of a crime. I had long thought police interrogations were complex, involving sophisticated skills, knowledge and psychological tactics to establish facts. I now know that police interrogations in Maekelawi are not so elaborate. In fact they are simple. They are like machines that produce guilt in the detainees. At Maekelawi, the driving principle of police interrogations is that you are guilty unless proven otherwise. Your pleas for innocence – or even for explanation – fall on deaf ears. Befeqadu spent 18 months detained in Ethiopian prisons along his colleagues before they walked free in October 2015. He and his colleagues were acquitted without ever testifying in court. 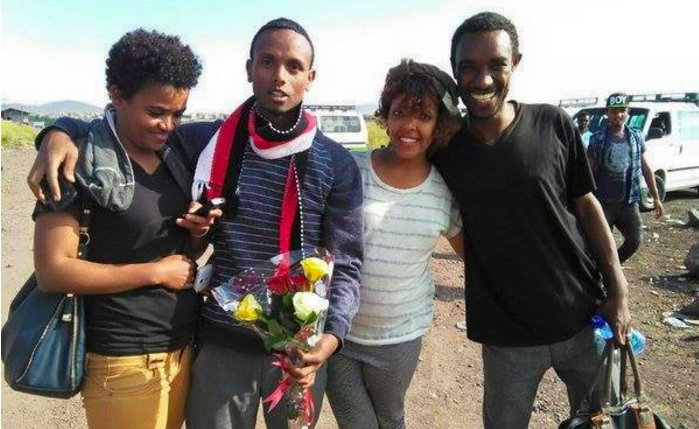 Zone9 members rejoiced at the release of Befeqadu Hailu (second from left, in scarf) in October 2015. Photo shared on Twitter by Zelalem Kiberet. Befeqadu also described accounts he had heard from fellow prisoners, who had been brought to Maekelawi after suffering through even worse ordeals at other detention centers in the country. “These detainees suffered from diabolical barbarity such as forcible extraction of their nails from their fingers, flogging, and hooding,” he wrote. The information extracted from detainees in the unnamed detention center is then verified through more interrogation at the pre-trial detention center. Detainees never know where they were taken for this brutal investigation because they are hooded throughout. The unnamed detention centers are like black holes. Referencing human rights violations under Derg regime, which Ethiopia's current government is now seeking to distance itself from, Befeqadu compared these experiences to those of the past. “It turns out that the anguish of Ethiopian prisoners, something that appeared to be so distant in memory, is not that far off after all,” he said. PM Hailemariam said, “Maekelawi was a torture house in Derg regime”; it is disappointing. I'm a living victim of that torture chamber under his rule. Back then, I wished to commit sucide instead of seeing interrogators the next day. These guys make it difficult to forgive. Befeqadu and two of his colleagues Atanf and Natnael are not really free, in the purest sense of the word. Although their terrorism charges were reversed, they are awaiting decisions on other charges, all of which have been triggered by their peaceful criticism of the ruling government.